Every Indian festival is an excuse to gorge on delicious delicacies, especially Holi. While playing with colours is never boring, eating delicious snacks is another interesting part of the festival. But beware; as a lot of food has to be prepared for the festival, most of the restaurants use cheap quality raw materials and Indian spices to make their food. 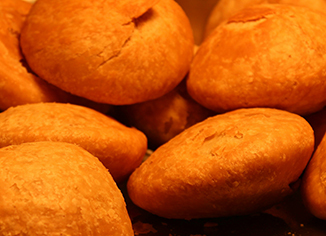 Being easy to eat a snack, Masala Kachori can kickstart your Holi celebrations with a bang. Serve it some tamarind chutney and green chilli chutney and cherish the smiles from your loved ones. Find the recipe as below. Make a stiff dough using curd, maida,and ghee. Keep it aside. Heat a few tablespoons of oil in a kadhai and add ginger garlic paste into it. Further, add Vasant turmeric powder, Vasant garam masala, green chilli paste, mint and coriander leaves, gram flour and some salt. Saute till the mixture cooks. Further, take it off the heat and squeeze some lemon juice into it. Let the mixture to cool. Now, take the dough and make small balls from it. Using a roller pin, make flat disks. Wet the ends and pinch them a bit. Add the prepared mixture in the center. Cover the mixture with the help of the dough and fry in hot oil till golden brown. Serve when it is hot. 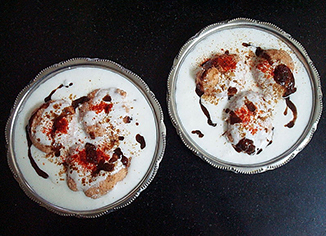 No Holi is ever complete without Indian chaat and Dahivada is a favourite among people across all ages. Hence, make some mouth-watering DahiVada and lighten up the Holi mood! Read the recipe as below. Make a fine paste of the husked black gram. Ensure that the paste remains light and fluffy. Makevadasfrom the paste and fry them in hot oil. Remove after they turn golden brown in colour. Further, add them into a bowl of salt water. Make as many vadas as you want. Take sufficient amount of curd into a bowl. Add Vasant cumin powder,Vasant black pepper powder, and salt to it. Further, take out the vadas and add them into the mix. Garnish the dish with Vasant cumin powder, Vasant chilli powder, Vasant sindhav powder,and Vasant chaat masala. Buy spices online from our online store and leading e-commerce platforms like Amazon, Flipkart and Paytm.